Ladies and gentlemen, today I'm going to introduce another very cool laptop you guys, it's Toshiba Satellite L55Dt-C5238, which is a 15.6-Inch Touchscreen Laptop features a 2.20GHz AMD A8-7410 Quad-Core processor (up to 2.50GHz via Turbo boost), 8GB DDR3L 1600MHz RAM, 1TB SATA 5400 rpm hard drive, 15.6″ widescreen TruBrite 720p HD touchscreen display at 1366 x 768 native resolution (HD), and AMD Radeon R5 graphics. Yes, it has become a hot new released laptop at Amazon (price as reviewed: $538), loads of people are crazy about it, so I think I'd better share it with you guys today. 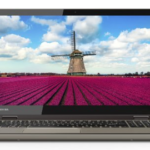 The Toshiba Satellite L55Dt-C5238 touchscreen laptop also comes with Built-in HD webcam, 6-in-1 memory card reader, DVD-SuperMulti optical drive, 10/100 Ethernet, 802.11b/g/n WiFi, 3 x USB 3.0 ports, 1 x headphone/microphone combo jack, 1 x RJ-45 Ethernet jack, 1 x HDMI port, and a 4-cell lithium-ion battery. The laptop is preinstalled with Windows 10 operating system. 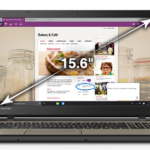 The roomy 15.6-inch diagonal, HD, TruBrite display gives you plenty of room for work and play, while more plug-and-play essentials make connecting with your other devices a snap. Amplify your music and entertainment with an engaging sound system tuned by the audiophiles at Skullcandy and DTS. Featuring a polished look and slim design, this Satellite L55 laptop has all the right moves to keep up with you. I believe you'll love it too. I thought long and hard before purchasing this laptop, especially since there are few reviews anywhere for it. To help others make their own decisions, I'm going to list why I bought this model from Amazon. 1) It's a touch screen. I recently obtained a new Lenovo with a touch screen, which was my first experience at integrating a laptop with a touch screen, instead of just on phones and tablets. It IS useful, not just a gimmick, even when you are somewhat impaired with mobility in your hands & arms. It speeds up getting to where I wanted to go, whether on Windows 8 or 10. 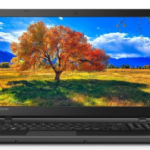 2) I had just gotten a new Toshiba laptop this past spring, but I didn't get one with a touch screen. I loved the laptop, and despite it being less expensive than the Lenovo, it performed better with fewer problems and a LOT less intrusive bloatware. 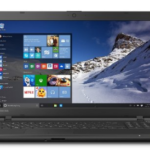 I hated the Lenovo after a few weeks, and went back to my cheaper Toshiba. I kept joking that if I could have the Lenovo keyboard & screen, with the Toshiba guts, I'd be happy. Essentially, this laptop delivered most of what I wanted, keeping the essential core of processor, harddrive space, and RAM the same as the previously purchased model. This model also has an optical drive, for us dinosaurs that still install software and occasionally burn disks for things. The Lenovo had abandoned that. It also has a slot for my camera cards, since I also still use a camera instead of just my cell phone camera. 3) Price. I'm a cheapskate. I wanted to pay the least amount, and while Walmart had the same price for a very similar model, that model lacked the optical drive. I also am suspicious of how good their extended warranty is if you ever file a claim. 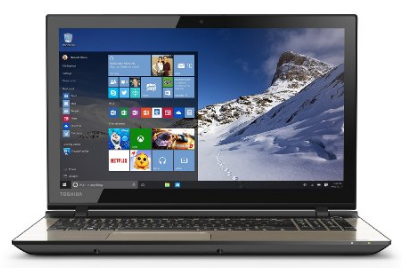 So what do you think about the Toshiba Satellite L55Dt-C5238 15.6-Inch Touchscreen Laptop?